Like the Canadian wine industry, which he has fervently promoted for over 25 years, Donald Ziraldo merits world-class distinction. 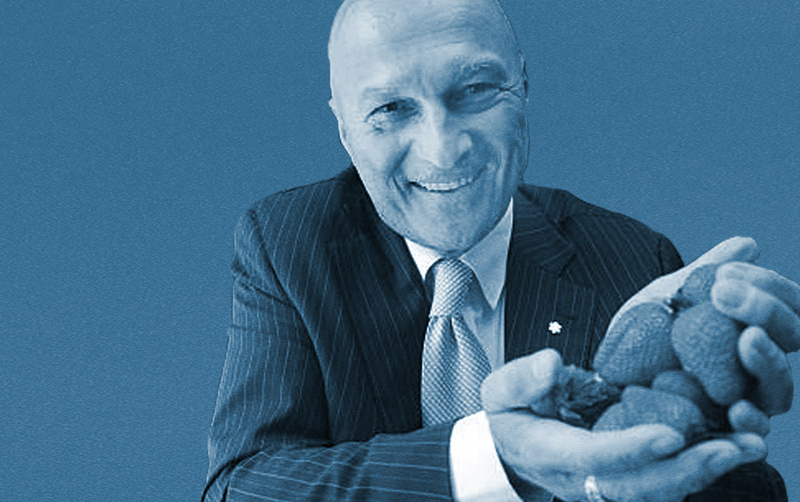 His entrepreneurial experience is deeply rooted in Niagara in a flourishing agricultural industry, specifically in the growing and production of Canadian wine. Born in St. Catharines Donald Ziraldo was co-founder and president of Inniskillin Wines inc, Inniskillin Napa Vineyards Inc. and Inniskillin Okanagan Vineyards, Inc. As founding chairman of the Vinters Quality Alliance, Donald Ziraldo inspired Canadian wine producers to join other leading wine producing countries in developing rigorous standards for their finest wines. A pillar of community support, Donald Ziraldo holds several directorships and at the time of award was a member of the Team Canada Inc. Advisory Board and the Canadian Tourism Board. He also served as co-chair of the Cool Climate Oenology and Viticulture Institute Capital Campaign at Brock University and worked with both Brock University and Niagara College to fund and build the joint vineyard project at Niagara College’s new Glendale campus. Like his wines, Donald Ziraldo has received numerous outstanding awards including an Honorary Doctor of Laws degree from Brock University, Enterprise ‘95 Entrepreneur of the Year for Community Contribution, the 1995 Grindley Award, Canadian Institute of Agrologists, the Order of Ontario, the Order of Canada, and countless other local honours.